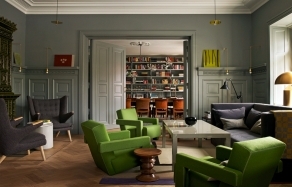 We give the Editor's Pick badge to the hotels we've found particularly worth recommending. 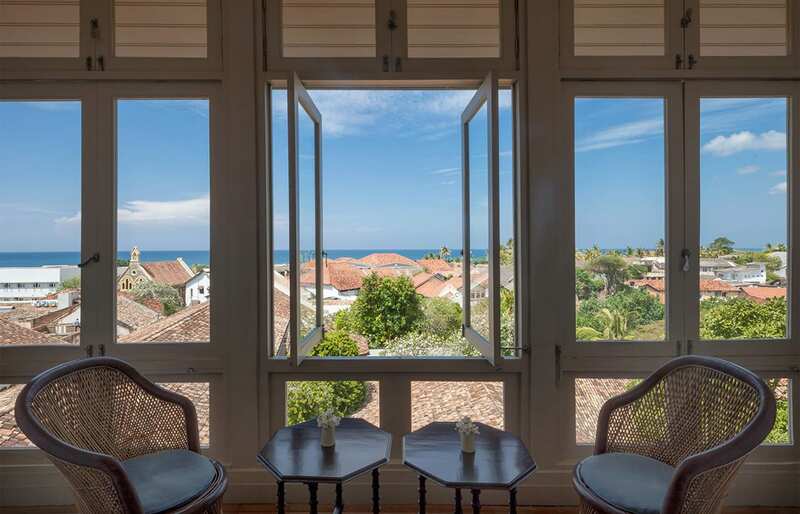 Occupying one of the grandest townhouses in the heart of the Galle Fort, Amangalla is part of the fabric of this historical destination. 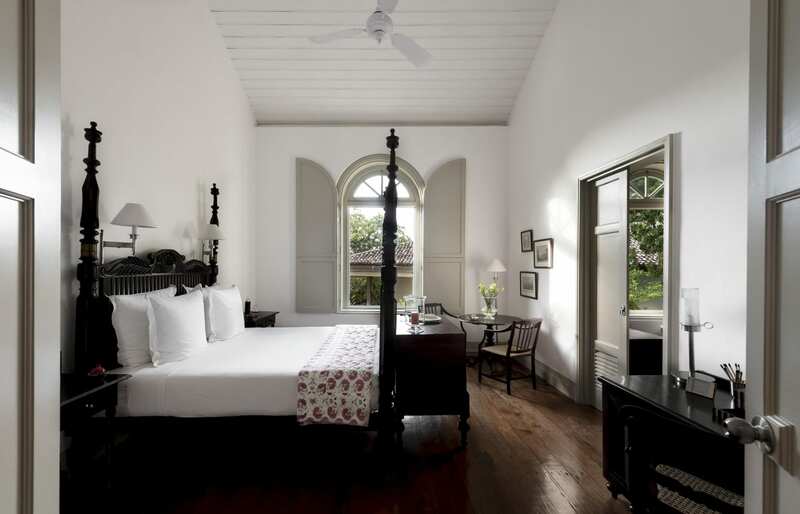 With a unique ambience and a decor of antique colonial furniture, four-poster beds and 300-year-old floors, the hotel ensures an enchanting experience. Our journey in Sri Lanka took us from Tea Country to the Yala National Park, and as we turned back north we followed the coast to finally come to Galle, famed for the unique 17th-century Galle Fort, a Unesco World Heritage site. Here we knew exactly which hotel we definitely wanted to check in to. And this is how we arrived at Amangalla, a beautiful city hotel from the elite-resort operator Aman Resorts. 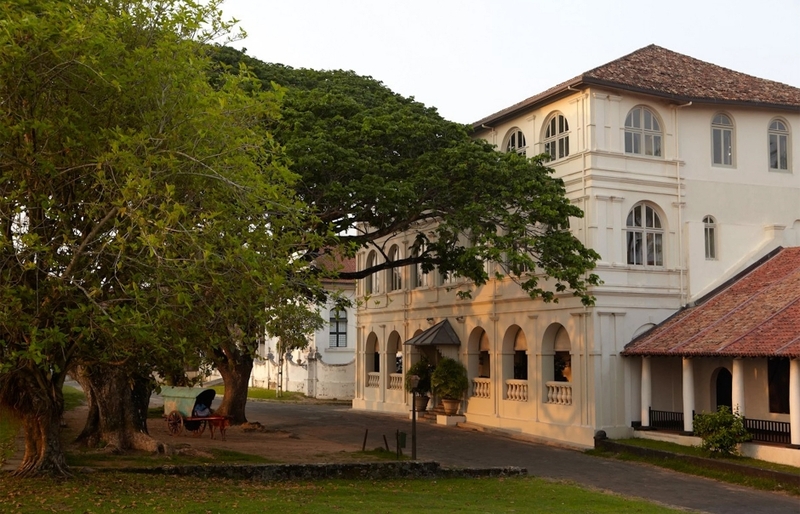 Originally built in 1684 as the headquarters of the Dutch commanders and their staff, the building at 10 Church Street was very soon transformed into the New Oriental Hotel, which for the next 140 years catered to the European passengers travelling between Europe and Sri Lanka. Fast forward to the 20th Century, and the property was given a new lease on life, thanks to the luxury group Aman Resorts. 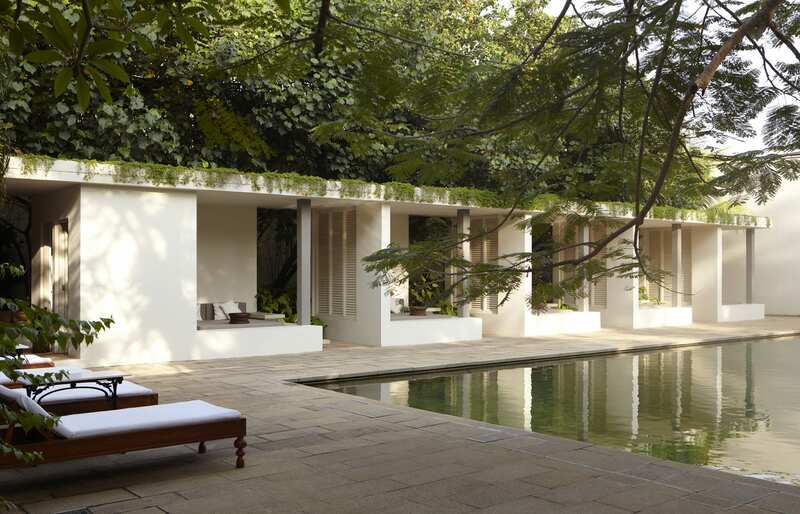 Putting into the project all the experience and wisdom acquired in the creating dozens of resorts around the world, Aman hired architects and designers to turn the 17th-century building into a masterfully restored property. The result? 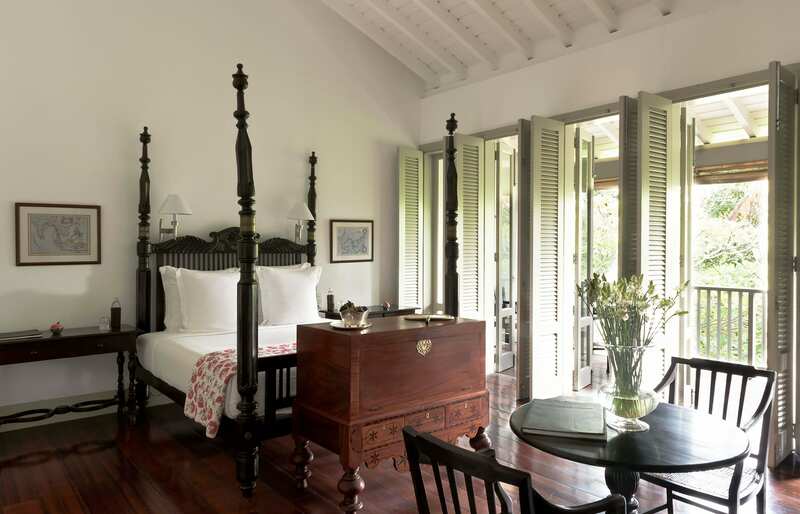 High ceilings and whirring overhead fans, dark teak floors, an atmosphere of the colonial splendour… And a sense of history. The historical credentials of Amangalla do not prevent the hotel from ensuring that its guests enjoy modern comforts, which most of us nowadays take for granted: air conditioning, in-room iPhone docks, luxury freestanding bathtub in the bathroom… as well as privacy and tranquillity, well matched by service tuned up to the world’s best five-star standards. The hotel’s swimming pool is a standalone highlight. Surrounded by a well-maintained garden and flanked by old palm trees, it’s a great place to spend a slow afternoon. 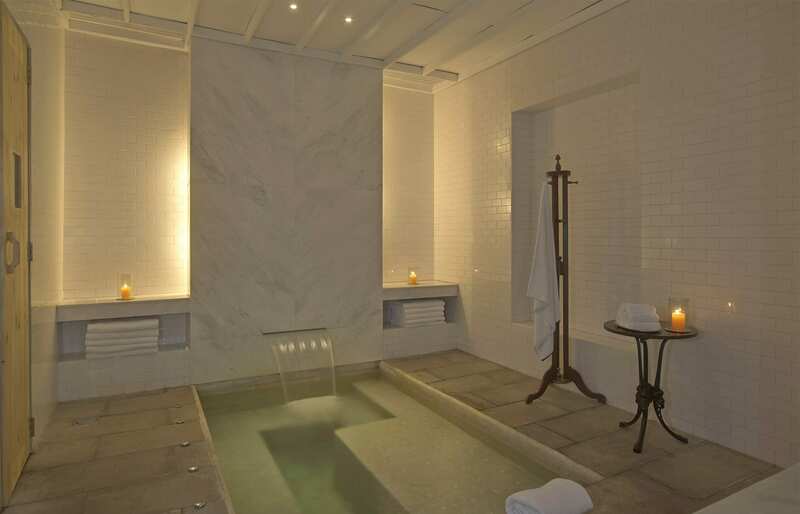 And if that wasn’t enough, more chances for a relaxing bliss are presented in the on-site spa, with its candlelit chambers and hydrotherapy pools. 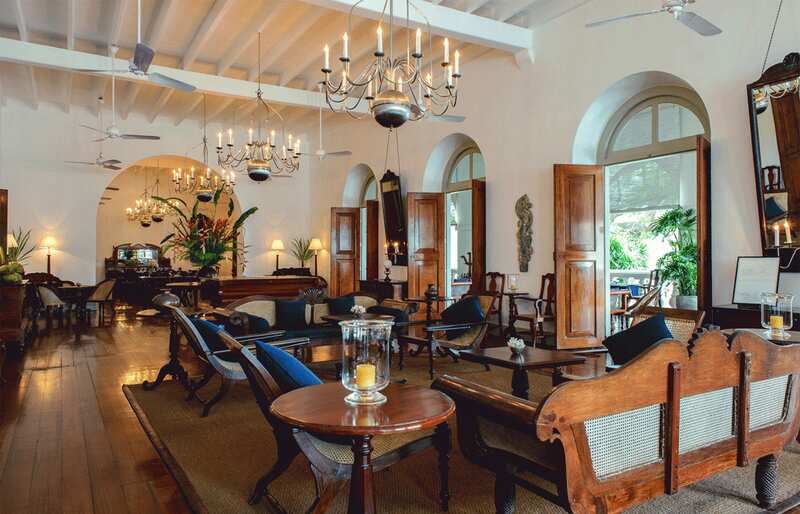 Not to be missed are sundowners in the long balcony on the upper floor and the High Tea in the front veranda. Speaking of which, the meals are consistently excellent. We loved the spicy omelettes and egg hoppers, though in the end did not get to try the signature dish of the traditional curry. The Fort was built as a fortified city that blended European architectural templates and South-East Asian styles. Today the place, still enclosed within the original walls and ramparts, charms with a very special vibe that sets it apart from other destinations in Sri Lanka. The town is full of historical churches, temples, museums — but also stylish cafés and boutiques. Striving to preserve the colonial origins, all the establishments here invest in good interior design and maintain the European vibe, combined with a tranquil, sleepy atmosphere. Other than trinket shopping, lazying in cafes and taking leisurely walks on the fort walls there isn’t actually all that much to do in Galle. It’s a great place to slow down — and Amangalla is the perfect place to do just that. Aman resorts are always quietly glamorous, but this hotel has the additional layer of history, harking back to the heyday of the steamship travel and the European colonial expansion. 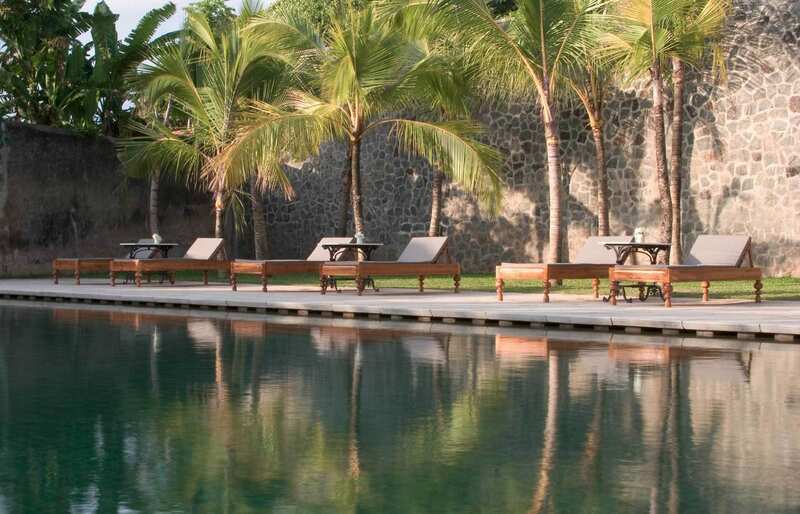 Amangalla offers a tranquil and carefree time for anyone looking to soak up the Fort’s legendary atmosphere in luxury. A sense of time and place. The property fully embraces its past; they even created a small museum with personal photos, antiques and mementoes belonging to the hotel’s last owner, an illustrious noblewoman. The service is of the genuine Aman kind, which means, absolutely the best. The staff is discreet, courteous, and anticipatory of any wants and needs we may have. Great location. 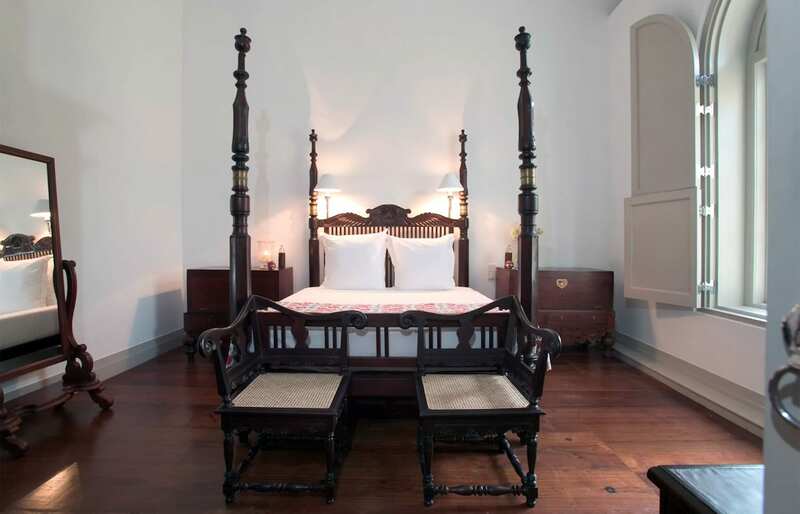 The hotel stands at the heart of the Galle Fort, a Unesco-listed heritage city. Amangalla is perfect for spending a few leisurely days. From the meticulously maintained gardens to the quiet library and the tranquil Baths spa — it's a hotel made up of serene spots. The hotel's large swimming pool (21 meters) is great — and beautifully set among the greenery. Its permanent loungers are quite ideal to leisure on. Culinary moments and great food overall. Don't miss the High Tea served on the front verandah. 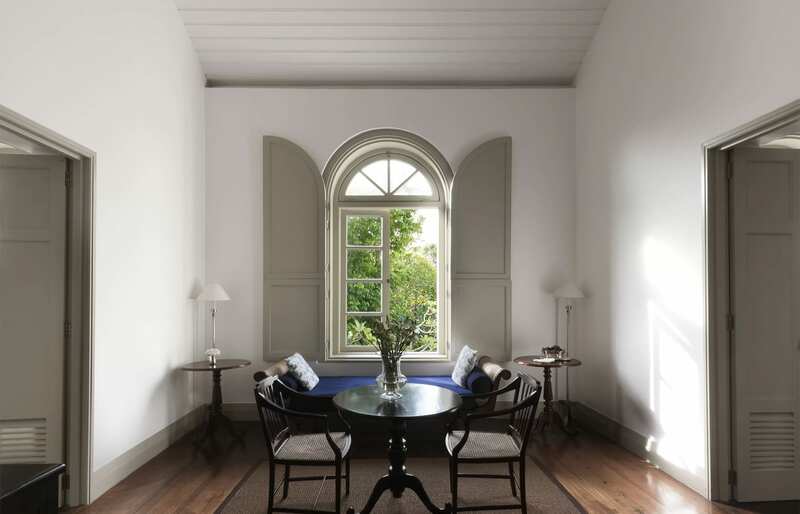 The best suite is the top floor corner suite with grand shuttered windows offering views of the neighbouring 18th-century Dutch Reform Church. There are no elevators in the hotel, so a lower-floor room will be more suitable for anybody with limited mobility. Also, this being an old building, the rooms are not well soundproof (book in the courtyard garden wing if this is a problem as these are the quietest rooms). Galle Fort is quite small, and sightseeing and activities are somewhat limited (though not doing much was exactly what we needed…) That said, it is a good place from which to explore the coastal areas of Sri Lanka as well as venture into the countryside. A good idea is to combine Amangalla with a stay at its sister property Amanwella (it's what we did — don't miss our Amanwella review). 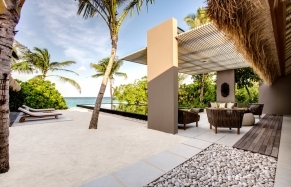 While Amangalla offers a heritage colonial city experience, Amanwella is a secluded beachfront resort that embraces a modernist, minimal style.